Panel hosted by Blank Slate Media and the UUCSR Shelter Rock Forum. 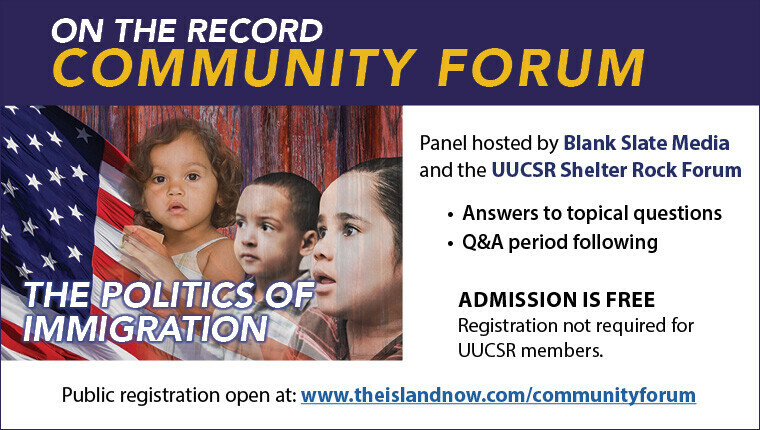 The panel will answer topical questions posed first by award-winning journalist and Blank Slate Media publisher Steven Blank and then in a question-and-answer period with members of the audience. Registration not required for UUCSR members. Refreshments will be served following the forum.